This is an Earth science experiment - building mud bricks with different kind of soils, comparing them, and playing with them. 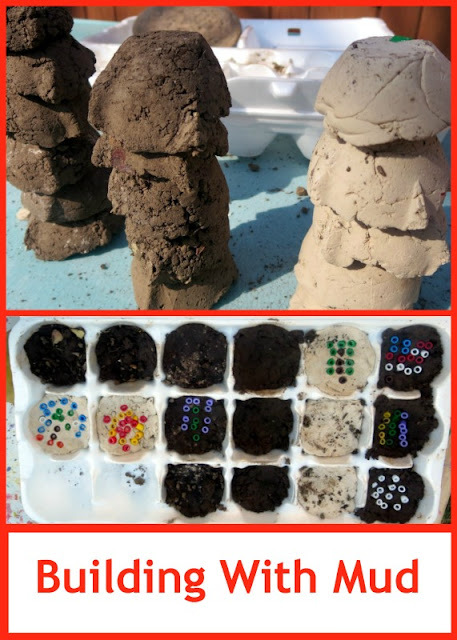 It’s Earth Day today, and I decided to share an activity we did last week where we investigated soil properties in our garden and built mini adobe bricks. Of course, this project can be done on any day of the year and can be incorporated as part of ancient civilizations unit. In fact, our own adobe bricks were inspired by our ongoing Mexico geography and history unit and by our recent trip to Mexico where adobe bricks are still widely used in construction. Adobe bricks are made out of sand, clay, water, and some kind of organic material (straws, sticks, and/or manure). Our goal was to investigate which mud bricks will be stronger – the ones made out of enriched soil, the ones from a dirt pile or the ones where plant material is added to dirt. Smarty also insisted on making mini-bricks out of air dry clay for comparison purposes. All you need for this activity is water, mud and something to shape your bricks in. We are participating in the project Recycle and Create, and the theme for April is egg cartons. Egg cartons are perfect for making mini-bricks – they don’t come out perfectly square, but their shape offers opportunities for trying things out, and they dry out relatively quickly (we left ours outside for 2 days). I also threw in some perler beads to decorate our mini bricks, but Smarty didn’t want to use them on the bottoms of the egg carton, since she wanted to make patterns and pictures, not a random sprinkle of beads. Smarty predicted that air dry bricks will be strongest, followed by enriched soil bricks, and that pure dirt bricks will be “the crumbliest”. She was a little disappointed that she was not allowed to add “manure” to her bricks. Our bricks were quite ready by Saturday – perfect for trying to balance them, build small structures, and test an initial hypothesis. Unfortunately, Smarty took the bricks out and mixed them all together before we could discuss the differences, but she told me that her hypothesis was correct, and that “earth bricks” were the driest and the crumbliest. As expected, air dry clay bricks fared well, but enriched soil bricks turned out quite well too and already endured several play sessions. Do your kids enjoy building and playing with mud? Building with mud sounds like a lot of fun! I love the science aspect of it too! I've always wanted to do a mud brick comparison, so I'm glad to see you do it. What a cool activity! My kids are always building mud concoctions on our patio. We'll have to give this a go! Love all your science experiments! This looks like some great, dirty fun! 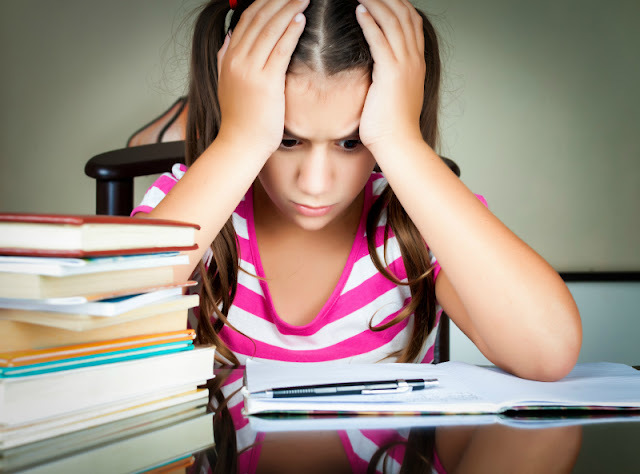 Featured you on Mom's Library this week! What fun!! My daughter made mud and tried to build using it as glue for rocks. Thank you for sharing at Sharing Saturday! !